Grade 1 recently concluded a six-week social studies unit on Kenya, Africa. The interdisciplinary unit, which incorporates mapping, language arts, and visual arts projects, focuses on what life is like for a 6- or 7-year-old in Kenya and encourages the students to recognize the ways they are similar to and different from the children there. The topics and corresponding projects changed and evolved throughout each week of the unit. First, the classes discussed the difference between a continent and country and began creating maps of Kenya. Next, they learned about the Maasai tribe and culture, including their style of clothing and dress, size and design of homes, and even traditional gender roles. 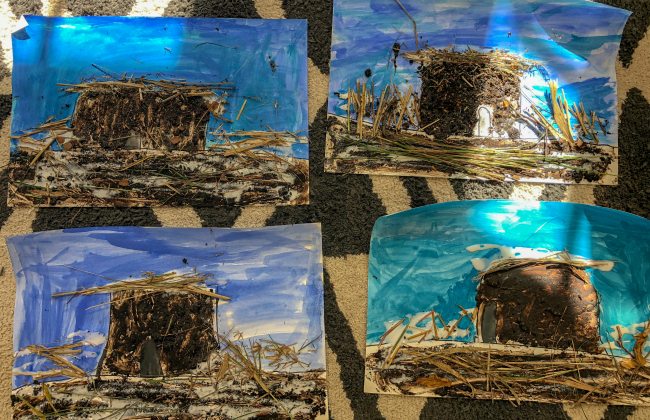 Our students studied photos of the Maasai people, noting their style of dress (usually of red or brightly colored cloth, and called nanga or shuka), hairstyles (children typically have very short or no hair), and other items like walking or cattle sticks and beads. The kids observed differences between the community's 'everyday' and 'special occasion' wear and related it to how they might dress differently for school versus a special event or celebration. They saw that some people in the photos had painted their faces or wore decorations hanging from or stuck through their ears. The Grade 1 teachers used a favorite teaching mantra—same, same but different—to ask the students how these things might compare to people in our community wearing makeup or earrings. The kids thoughtfully considered that we might not be as different from the Maasai people as we think! 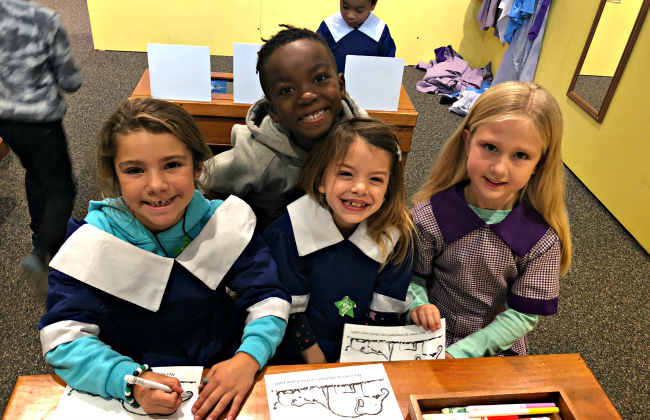 The culmination of the unit was a field trip to The Magic House to see the Kenya's Kids exhibit in the World Traveler Gallery. The students were immersed in realistic Kenyan environments, including a school, a market, a home, and an animal orphanage. 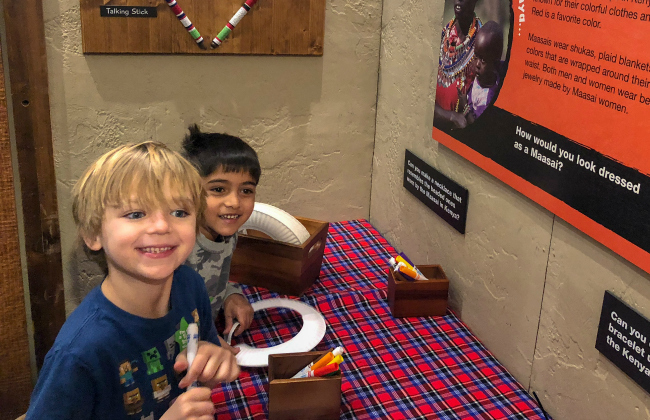 Most importantly, they were able to make so many connections between the exhibit and all they had learned about the Maasai people. 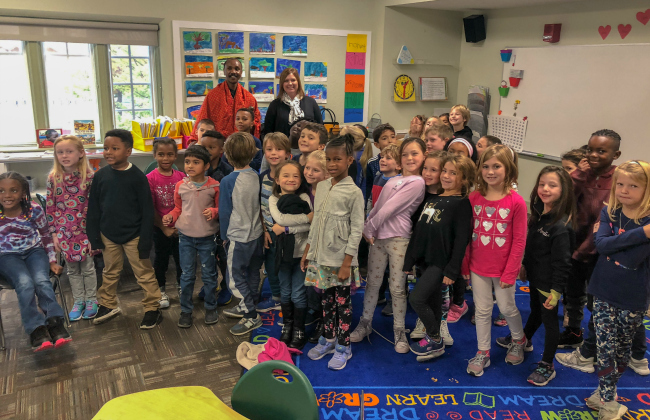 The next day, Grade 1 welcomed Beth Hasek (aunt of Han, Grade 1), who works at The Magic House and had traveled to Kenya to help create the exhibit, and Geoffrey Soyiantet, who is Maasai and serves as the Executive Director of Vitendo 4 Africa and on The Magic House's Kenya Committee. To help conclude our unit, they answered questions and shared insight into what life is like in Kenya. Same, same but different.